As per Article 20 of the Commencement of Execution Proceedings in Monetary Receivables Arising from Subscription Agreements Code, Article 5/A was incorporated into the Turkish Commercial Code on 1 January 2019. The article introduces mandatory mediation for claims involving commercial receivables. The new provisions do not apply to pending lawsuits before first-instance courts, regional civil courts or the Court of Cassation. Applications for mediation must be finalised within six weeks of appointing a mediator – this period can be extended by two weeks only under exceptional circumstances. Mediation is not obligatory for requests for preliminary injunctions. However, if a plaintiff requests a preliminary injunction as well as compensation or payment of a certain amount; it must first apply for mediation. This means that the other party will learn about the plaintiff’s intentions, which could affect the outcome of the preliminary injunction. Therefore, parties may wish to file separate applications for preliminary injunctions and other monetary requests. Article 18/A has also been introduced to the Mediation in Civil Disputes Code. It sets out special provisions with regard to precautionary injunctions granted before an action on merits is initiated. Further, if a precautionary injunction is granted before an action on merits, the permitted timeframe to bring the action will not begin until the final report is drafted. Although the mediation process is relatively new, it is expected to rapidly increase in popularity, especially for actions related to damage compensation. Given the complicated and changing nature of the process, as well as the necessity of depending on expert knowledge, serious delays to cases are likely. It is hoped that obligatory mediation will encourage both sides to find an amicable solution and that as parties see for themselves the benefits of mediation they will choose this process for other, non-obligatory disputes. 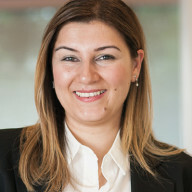 While it is true that this process is somewhat out of step with Turkey’s litigious culture, mediation could become mandatory in other type of IP disputes.